John Luxat is the NSERC/UNENE Industrial Research Chair in Nuclear Safety Analysis in the Department of Engineering Physics at McMaster University in Hamilton, Ontario. Before joining McMaster he was Vice President, Technical Methods, at Nuclear Safety Solutions Ltd. in Toronto. Prior to that he was Manager of Nuclear Safety Technology at Ontario Power Generation. Dr. Luxat has over 34 years of experience in the nuclear industry, the majority of which was with Ontario Hydro and its successor company, Ontario Power Generation. He has participated in nuclear safety, nuclear technology and R&D projects, both within Canada and internationally and has represented Canada in the activities of international organizations, such as IAEA and the Nuclear Energy Agency of the OECD. 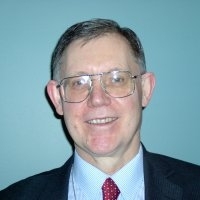 He is a licensed Professional Engineer in Ontario and a member of the Canadian Nuclear Society and the American Nuclear Society. He is currently the President of the Canadian Nuclear Society.